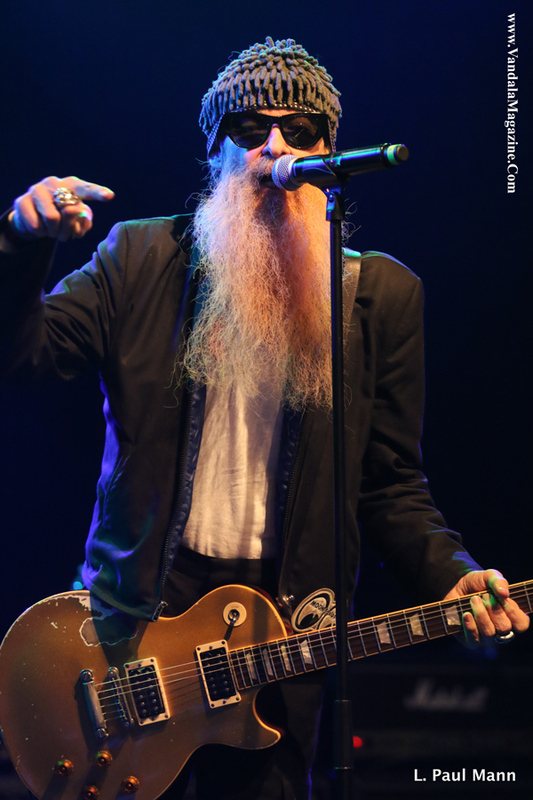 A veritable army of veteran rockers showed up to jam at El Rey theater in Los Angeles, November 3rd. The event, which may have been one of the best rock shows of the year, in Southern California, featured the Hellcat Saints. The band was the idea of former Velvet Revolver guitarist Dave Kushner and was formed for a valiant cause that’s personal to Kushner. The concert was organized by Kushner and comedian Bill Burr to benefit Rhonda’s Kiss. That organization was formed in memory of Rhonda Stefanski, who died from pancreatic cancer in 2014. The nonprofit provides funds to cancer patients who can’t afford advanced treatments. The band features a line up revolving around some of Kushner’s former bandmates and a onetime jam with some iconic rockers. The line up included; Billy Idol, Dave Navarro (Jane’s Addiction), Juliette Lewis (Juliette & The Licks), pop singer-songwriter Kesha, Duff McKagan (Velvet Revolver, Guns N’ Roses), Dave Kushner (Velvet Revolver), Gilby Clarke(Guns N’ Roses), Mark McGrath (Sugar Ray), Josh Freese (NIN, Devo, A Perfect Circle), Billy Morrison (Billy Idol, The Cult), Steve Stevens (Billy Idol), Donavon Leitch, singer-songwriter Jamie Commons and a surprise appearance by ZZ Top lead guitarist and vocalist Billy Gibbons. For music fans it was a great opportunity to support a good cause and get up close and personal with their favorite performers in the intimate setting of the historic El Rey theater. It was a dream concert for most in attendance, with inexpensive tickets gaining access to the show and an open unrestricted bar, complete with an array of gourmet appetizers from Wolfgang Puck, steadily pouring out of the kitchen. The excitement was palpable even before the concert began with fans lining up to watch the red carpet entrance of film stars and musicians alike. A who’s who of Hollywood elite attended the event, and many paid top dollar for the VIP tickets which featured an upstairs meet and greet with the performers. The evening began with a 30 minute comedy set by comedian and co organizer Bill Burr. The feisty comedian got the antsy crowd fired up with his biting and hard driving delivery. His set was followed by a somber moment when Rhonda Stefanski’s son took the stage, and delivered an emotional but deliberate speech about dealing with the loss of his mother to Pancreatic cancer, and the organization that she started which has become her legacy. After a short break, with many attendees taking advantage of the open bar, the red curtains parted and the musical performances began. The initial line up included Navarro and Kushner on guitar, McKagan (the only performer to be onstage for the entire show) on bass, and drummer everyman, Josh Freese. Singer, actor Donovan Leitch took the first turn as lead vocalist and the band exploded to life. On the second song Sugar Ray singer Mark McGrath quietly took up backing vocals from the edge of the stage. Then from what would be the format for most of the night, he switched off on lead vocals with Leitch. They sang a number of classic covers, including Sugar Rays’ hit song “Fly”. Juliette Lewis took over the vocals next, with her well known channeling of Mick Jagger, and was joined by guitarist Gilby Clarke. Although lesser known on the national music circuit, Lewis has long been known in the local underground rock circuit in Los Angeles as an accomplished singer. Lewis launched a career as a singer and musician, leading the rock band Juliette and the Licks until 2009 when she went solo and released the album entitled Terra Incognita. She was featured on the track “Bad Brother” by the band The Infidels, from “The Crow: Salvation Soundtrack album,” released in April 2000. Lewis also appeared on three tracks by EDM pioneer’s, The Prodigy, on their 2004 album “Always Outnumbered, Never Outgunned” (“Spitfire,” “Get Up Get Off,” and “Hot Ride”). The show took a different direction when the next singer, Jamie N. Commons took over, beginning with a sit down song with McGrath and Navarro. This young Blues singer from England has garnered accolades and comparisons to some of Americas grittiest Blues singers from Greg Allman to Tom Waits. The hard rock pace picked up again, when pop star Ke$ha took the stage. This young disco diva was on of the top selling dance trance performers since the release of her enormously successful 2010 album, Animal. The singer songwriter has also written hit songs for other top performers like Britney Spears’ “Till The World Ends.” The talented singer has largely been flying under the radar for the last two years, since here contentious break up with Dr. Luke’s record label. The recording hiatus had not stopped her from writing and performing, however, and she is a well known supporter of charities from animal rights to the LGBT community. Although she is known in the pop world as an EDM party pop princess, her El Rey performance, this night, was to be no disco dance along performance. In what is fast becoming her signature rock song, the throaty singer channeled a mix of Robert Plant and Janis Joplin for a hypnotic rendition of Led Zeppelin’s Whole Lotta Love. Backed by the phenomenal band of rockersand a surprisingly good display of drumming by Bill Burr (who knew), the rendition was one of the most fascinating covers in recent memory. The biggest surprise of the night came next when McKagan announced that Billy Gibbons had just been driving by and offered to lead the band in a couple of ZZ Top songs. His guitar duel with Navarro was one of those classic rock moments that legends revolve around. The final set of the night was the most anticipated by many in the audience. Billy Idol sauntered on to the stage and played a triumphant closing set featuring both his original guitarists, Steve Stephens and Billy Morrison. The 59 year old charismatic and animated singer may have written most of his hit songs back in the 80’s but the classic rock anthems have stood the test of time and his delivery continues to be top notch. 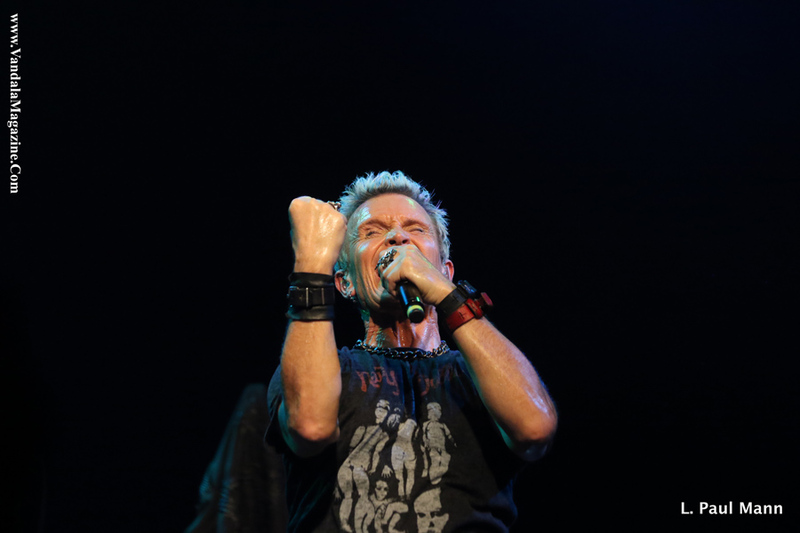 From the fans holding his albums in the crowd, to the overzealous one who mauled him onstage and had to be pried loose from her literal idol, it was clear that Billy Idol was the crowd favorite in a night filled with some of the best live classic rock heard in a long time.